Traveling with the HumX will ease the stress of driving whether you are headed out on the open road for some vacation time or just running around town. It will also ease the stress of parents now that school in full swing. The HumX is a great addition to any students car whether it’s a college student that will be traveling far from home or your high schooler who still needs to have some tabs kept on them. And with the holidays just around the corner, you will want to get a HumX before you take off over the river and through the woods to Grandma’s house, for stress free holiday travel. 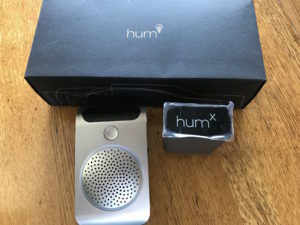 Verizon Wireless recently loaned me a HumX to try out. I found that this handy little device does the job of several devices and services all wrapped up in one little package. 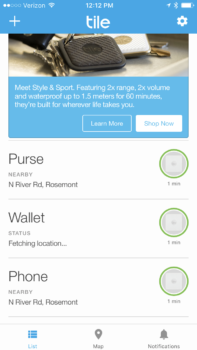 Below is a list of all the cool things this device can do once it is installed and paired with the HumX app. Bluetooth Speaker: You can pair this device with your phone and use the speaker for hands free calling. Although, most cars these days are already Bluetooth enabled there are still quite a few on the road that are not. Many of them include vehicles that our kids drive as they tend to purchase older vehicles since that is all that they can afford. Also with being younger drivers having the hands free calling helps to keep their hands on the wheels and eyes on the road. 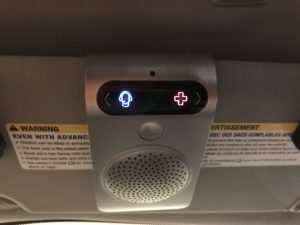 Customer Service: If you are having any difficulties on the road or your check engine light goes on, just press the customer service icon and call button on the HumX device and you will be connected to a Verizon Wireless representative. They will be able to put you in touch with a trained mechanic that can help diagnose your issue and get you information on how to get it fixed. Should you need roadside assistance, the customer service rep will be able to get that set up for you. If you are having trouble with the app or device itself, customer service can assist with that as well. 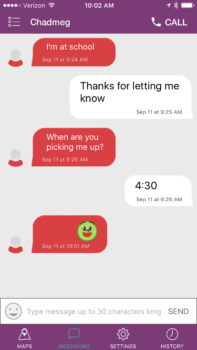 Emergency Assistance: Pushing the red cross icon and then the call button will put you in touch with an emergency services operator. 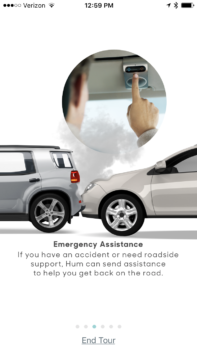 The HumX app can tell of you were in an accident or collision. Stolen Vehicle Assistance: If your vehicle gets stolen notify authorities immediately and fill out a police report. Give the case number to the customer service department and they can work with police on locating the vehicle using the location system. 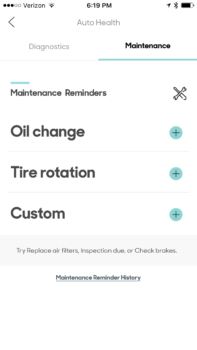 Diagnostics and Service Reminders: The auto health feature on the app can communicate with your car and scan for any diagnostic issues as well as keep track of oil changes, tire rotations or any other maintenance issues desired. GPS Location and Speed Alerts: These features are a great to keep tabs on those teenage drivers. 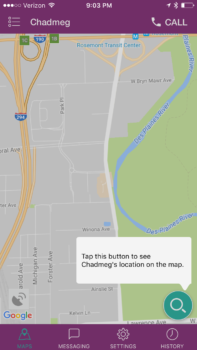 The GPS locator allows you to know where the vehicle is even if you are not driving. 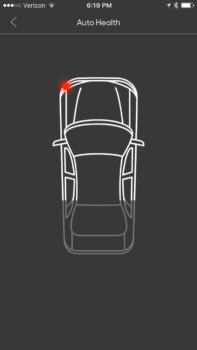 It also allows you to set boundaries on how far the vehicle can travel and speed limits. 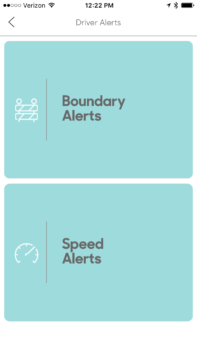 The app will notify you if the vehicle has exceeded the speed limit set or if it is driven passed the desired intersection or location on the boundary setting. 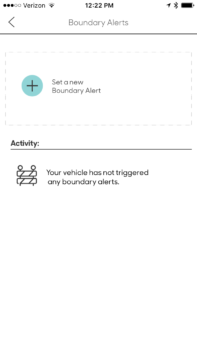 Although, the vehicle location feature will locate your car, setting a boundary could come in handy should your car get stolen. Having the notification of what time the car left a certain area could aid in filling out the police report. 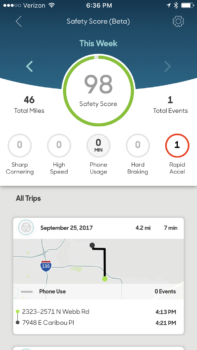 Safety Score Rating: The HumX can keep track of accelerated speeds, hard braking, sharp turning and more which can indicate how safe of a driver you are. 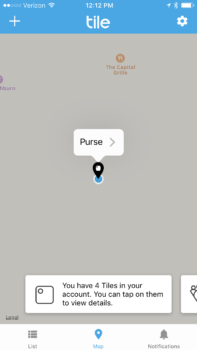 Navigation: The HumX has a navigation map and is similar to Siri and Google and can give you directions to wherever you would like to go. 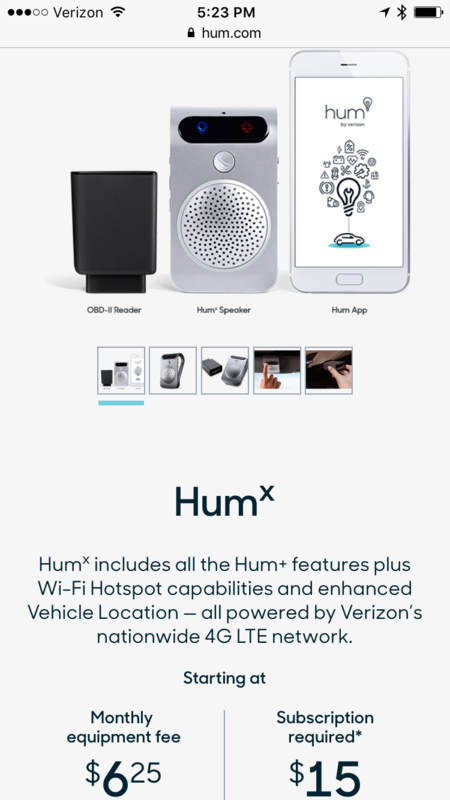 Wi-Fi Hot Spot: If you are a Verizon Wireless customer, you can add HumX to your data plan to pay for the 1 GB or more of data you get monthly with HumX. However, if you are not Verizon Wireless customer, you can still purchase HumX but will have to open up a Verizon Wireless account to pay for the monthly Wi-Fi service. The 4G LTE hot spot allows you to connect up to ten devices. Some other tips about the HumX you will need to know. 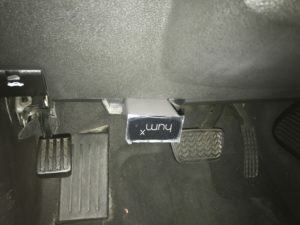 The HumX is very easy to install using the vehicles OBD port. I know your thinking an OB what? At least that is what I said as I had not heard of that until now. Most OBD ports are under the drivers side dash. 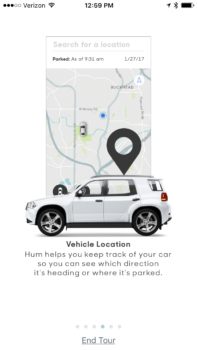 If you need help in locating your OBD port, you can visit www.hum.com/port. Most vehicles manufactured after 1996 should have an OBD port. However, not all vehicles are compatible with the HumX. You will want to check the compatibly of your vehicle by visiting the HumX website before purchasing. 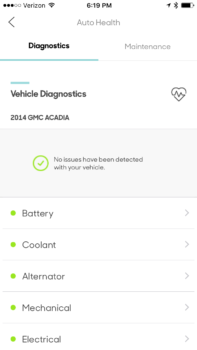 We found that are 2011 Kia Sorento was not compatible but our 2014 GMC Acadia was. 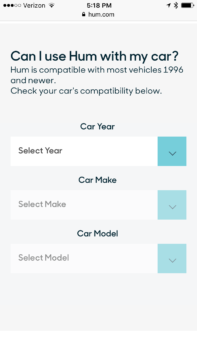 Our daughters car, a 2005 Honda CR-V was also compatible. There are some different purchasing options for the HumX including a monthly payment, one time purchase with a contract or paying retail. All of which require and activation fee. 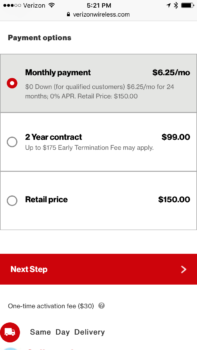 Information on pricing, activation fees and purchasing options can be found on the Verizon Wireless website. 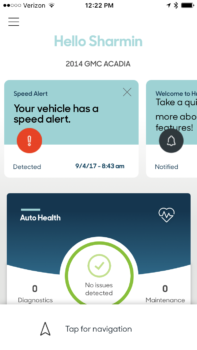 My take on the HumX is that is a good replacement to every feature and service you need all wrapped into one bill instead of hassling with multiple bills such as AAA, OnStar and wireless air card plans. I also like the emergency, mechanic and diagnostic features as well as the capability to pair with some older vehicles. It is also nice to open just one app to have access to Wi-Fi, navigation, maintenance reminders, roadside assistance and more. I loved having the Wi-Fi available and used the bluetooth speaker system while talking on the phone and it worked great. 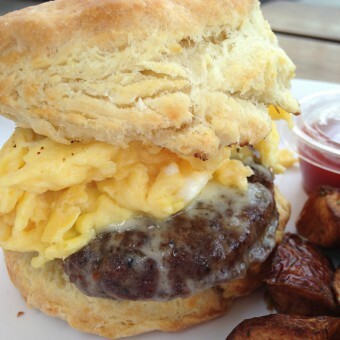 I had to contact customer service as I had some difficulties with the app and they were very friendly. The navigation system worked well and so did getting notifications when the set speed limit was exceeded. I think this device is handy to have for every day travel and road trips especially if you have an older vehicle. It can save you money by consolidating multiple services into one bill. And if you have young teenage drivers on the road, it is essential! I would have definitely used it for when mine were at that stage, had I owned this device. If you have any more questions about the HumX you can visit the HumX FAQ page. Although I have been compensated for this post, all the opinions are my own. With school now back in session and going full swing, these handy gadgets from Verizon Wireless will help both students and parents make their days easier and smarter. Lets start with the Google Home. I love this thing and tested it out earlier this year which you can read about here. Some features I did not mention in that post is what a handy homework helper it can be. Need to know the 16th President of the United States? How about the square root of 620? Ever wonder how many square feet are in an acre? Google knows all, just ask. The answers are Abraham Lincoln, 24.9 and 43,560. 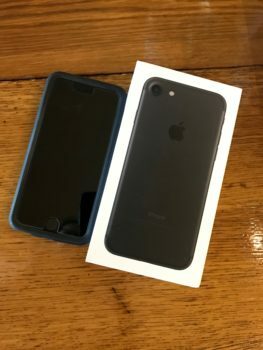 Unlike Siri, whom I have a love/hate relationship with and sometimes just says “Here is what I found on the web for….”, “Okay, check this out” or worst of all, “I don’t understand….” . I’ve found that the Google Home is a little better at giving me a straight forward answer. The Google Home can also help you get ready for the day and help you know if you are going to need that jacket, by answering all your weather related questions. You can also tell it to set reminders on those extra circular activities and who needs picked up when to keep you on track and much more. The next gadget that will make your school day smarter is the gizmogadget. 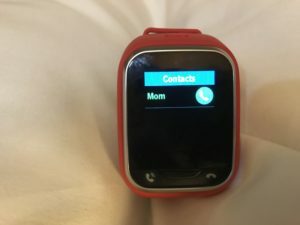 This super cool watch is perfect for those kiddos who are to young for a phone but still need a way to communicate. 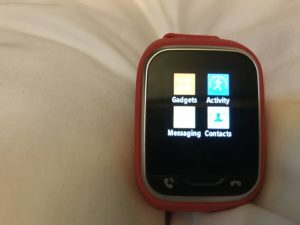 Parents can set this watch up through the app and have constant communication. 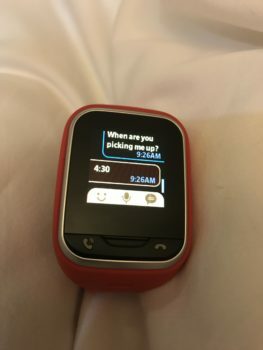 This touch screen watch is simple to use and has quite a few features that are perfect for staying in touch without the cost of another phone line. It can keep your kids safer since there is no access to the internet and no way to call or receive calls from strangers. 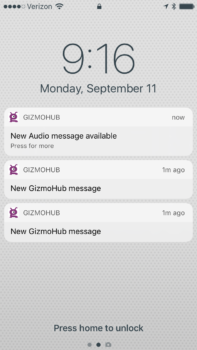 The app allows parents to add what numbers the gizmogadget can call or receive calls from. It also works the same with the text messaging feature. 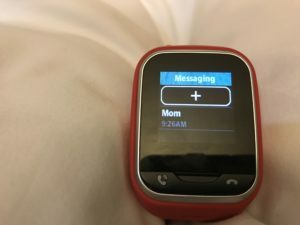 There is no keyboard on the gizmogadget so the child can send or respond to texts using the voice to text feature, the pre installed responses like, “I’m at school” or “I’m on my way” or respond from a selection of emoji’s. 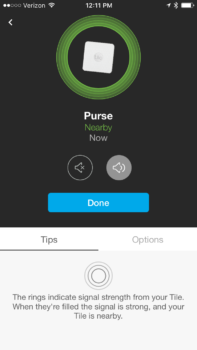 Through the app you can get notifications of messages received and see the location of where the watch is through the GPS locator. Not only is this handy to keep track of where your child is but can help find it if the watch gets lost. The watch also features an activity tracker, compass, timer and stopwatch. I am notorious for losing things. As a matter of fact, I have currently lost the spare key to my car and just went to the dealership to have one made because it is only going to be a matter of time before I loose my original set and then I would not have a key at all! Now, there is a solution to that with tile slim and tile mate, which I am wishing I had earlier to put on that key I am now missing! 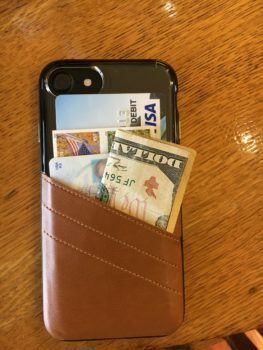 Earlier this week my husbands misplaced his wallet and having a tile would have helped locating it much quicker! Having these tiles paired with a variety of school supplies will definetly relieve the headache of looking for lost items during that early morning rush of getting out the door. Here is how it works. 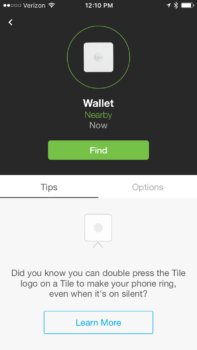 If you have lost your wallet open the app and select wallet from the list of tiles paired. That tile will then chime which will lead you into the direction to where the item is you are trying to find. What if you lose your phone? 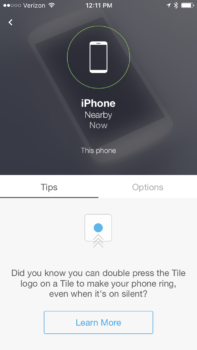 Well, you can pair a tile to find your phone. Just double press the tile you have paired with your phone and your phone will then ring to lead you into the direction if it’s whereabouts. 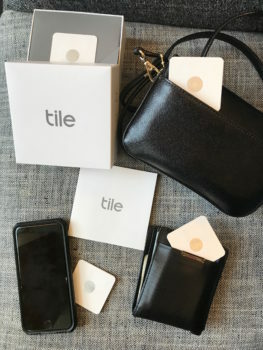 To keep you from losing both your tile and your phone check out the tile website for a variety of accessories and adhesives to keep track of all your paired tiles. I seriously lose everything and need about 20 tiles of these to attach and pair to all my things. I often tell people that when I die instead of finding out the meaning of life, I want to know where everything I lost went. Not that all that stuff is important because almost everything can be replaced, it just drives me crazy to not know where it is or what happened to it. I guess it is just a pet peeve of mine. Although, the gadgets mentioned above are certainly helpful for making life easier and smarter they are all useless if their batteries are not charged! That is where the Mophie Power Station XL comes in handy. This portable charging device works as an external battery giving power to what ever device is in need of charging. With up to 48 hours of extra battery life and 2 charge ports it is sure to keep you and your devices up and running. 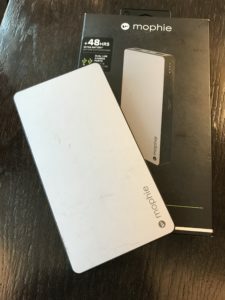 No more being tied to an outlet as this portable charger about the size of a deck of cards can go with you wherever you are. The best way to keep your Mophie Powerstation up and running is to plug it in nightly so it can be at its full potential to keep your devices charged all day long. It’s 2.1 high output charge can give 10+ hours of extra battery life to a large tablet, 14+ hours to small tablets and 48+ hours to smartphones. For more information on these gadgets or to purchase one of your own visit the Verizon Wireless website. 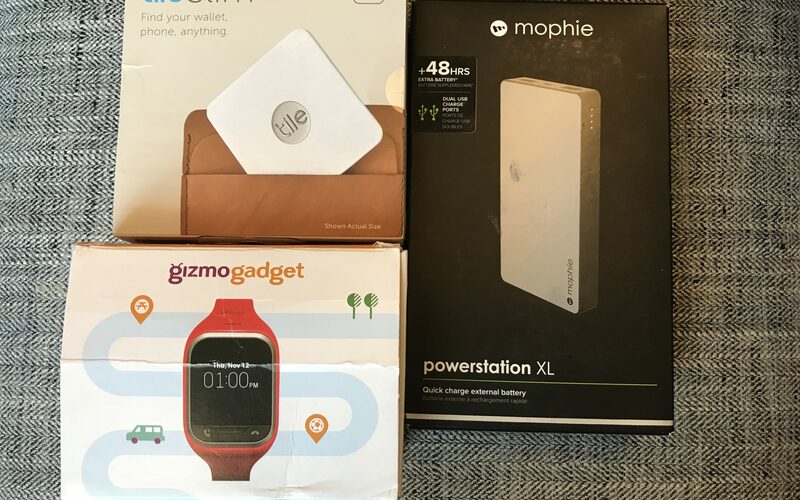 Before I send these gadgets back, I wish to thank Verizon Wireless for allowing me to test these items out and need to disclose that although I will be compensated for this post, all opinions are my own. I recently had the chance to try out some smart home products thanks to Verizon Wireless. I had a great time trying out these handy devices and loved how each one made life just a tad bit easier in its own way. It is now time to send them back, but first I will give you a quick overview of these handy gadgets. 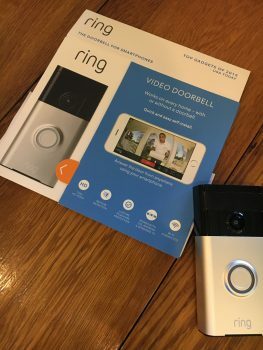 The Ring Doorbell This easy to install doorbell works with an app and can that notify you when there is motion at your door or when the doorbell buttons is pushed. With a built in camera and video recording service you are able to answer your door from your phone and talk to whomever my be visiting. 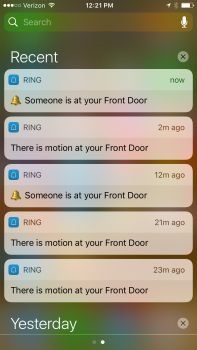 My favorite feature of this device was the ability to catch the video of what was happening when the doorbell was pushed. This allowed me to decide if I needed to answer the door or if it was just UPS ding dong ditching me a package. 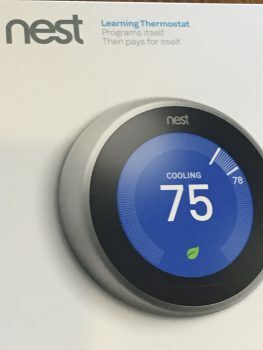 The Nest Learning Thermostat This handy thermostat learns your habits. After adjusting the temperature consistently at certain times of the day, this thermostat learns what temperature you like and what time you want it. After a few days it will start doing it for you automatically. If you like to turn the temperature up or down before going to bed, this smart thermostat can do it for you. It also learns that when it is adjusted from heat to cool that the season has changed. With the connected app it is easy for you to adjust the temperature from where ever you are. Energy saving features allow you to choose away options if you will be gone for sometime. When you are ready to return, just set the temperature desired from the app and the perfect temperature will welcome you home. I travel quite a bit and will adjust the temperature before I leave to save some money. My favorite feature of this device is the ability to adjust the temperature via the app so my home is the perfect temperature the moment I walk in the door. 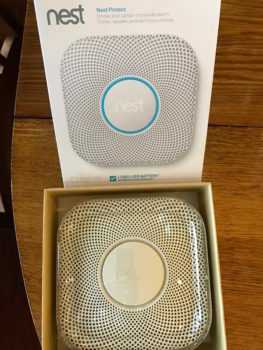 The Nest Protect This device detects both smoke and carbon monoxide. In addition to the different alarm signals, one for smoke and one for CO, this device also speaks and tells you what is wrong. If you have multiple Nest Protects installed throughout the house, the device can tell you which room the problem is in. This device connects to an app and will message your phone if something goes wrong. This Nest Protect uses a battery and instead of just beeping it will tell you when the battery is low or needs replaced. Nest Protect continuously tests itself with the nightly promise feature. When you turn out the lights for the night, Nest Protect will glow green for a moment which means everything is working. If it glows yellow that can indicate the wifi is down, a battery is getting low or another issue. Just push the Nest Protect button or check the app to see what the issue is. My favorite feature of the Nest Protect is that it tells you which alarm is having the issue or needs the battery replaced. 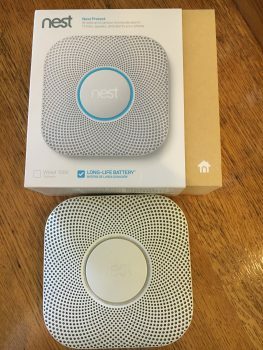 I am ready to switch out our smoke alarms with these devices as the ones we have now are hardwired with a battery back up. When one alarm goes off they all do and it is always about 3 a.m. It gets very frustrating at times as it’s hard to tell which one is low. We had one alarm that would never stop beeping even though it had new batteries. My husband finally through it out in the street and ran over it with the truck! If only it could have told us what was wrong! Verizon Wireless also sent me the Google Home to try out. 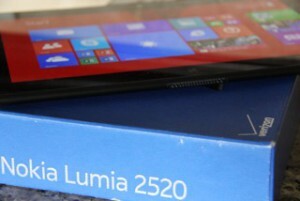 I absolutely loved everything that handy device could do which you can read about here. 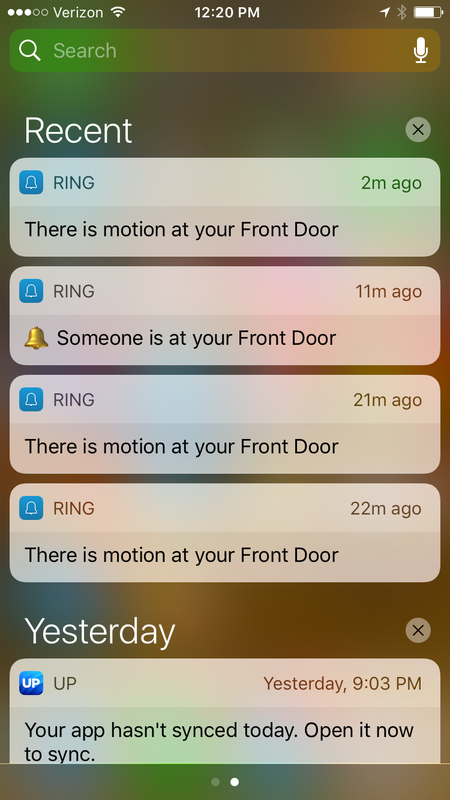 For more information on the Nest line of products or the Ring doorbell visit the Verizon Wireless website. Disclosure: Although, I was compensated by Verizon Wireless to review these products, all opinions are my own. The Google Home voice activated device has just become my best friend. 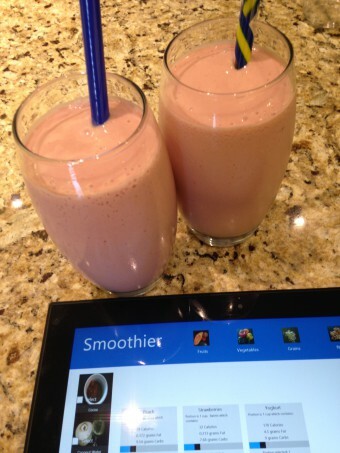 I recently had the chance to spend some time with this personal assistant thanks to Verizon Wireless. They loaned this device out to me to test for a few weeks and now it is time to say goodbye and send it back. It is definitely more sorrowful than sweet as we part as I have gotten quite used to all the amazing things this little gadget can do. 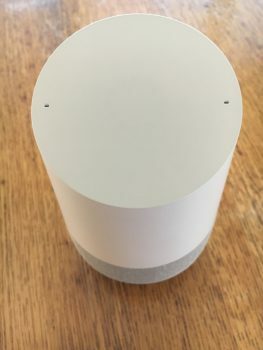 Below are a list of some of my favorite features of the Google Home. The ability to play music mixes. Much like Pandora, you say, Okay Google play music by (insert favorite artist) and Google will play a radio mix of that artist along with similar ones right through the built in speaker without commercials. If the music seems to loud or to soft you can also ask it to increase or decrease the volume and when you are finished listening just tell it to turn the music off. Got a question? Google has the answer. I am currently following a fitness and nutrition program which you can read about here. One of the suggestions on this is to try and drink a gallon of water a day. Since my water bottle is marked in ounces I had to ask, “Hey Google, How many ounces are in a gallon?” Within seconds I get the response that one U.S. gallon equals 128 ounces. We are fairly new to the city we live in and Google home was able to answer my questions about the closest library branch location, closest pharmacy, grocery store etc… It will even tell you the hours of business. If you know the address where you are going or even the name of the business and city, it will tell you how long it will take you to get there or how many miles away the location is. If you are headed out of town, Google can find hotel accommodations located in the area you will be traveling, tell you what the weather will be like and how long it will take to get there. To keep track of my daily activities, Google can set timers and create shopping lists, If you set up a payment method and delivery address, Google can order items for you and have them shipped right to your door. Just say, Hey Google, order me some paper towels or whatever you may be needing. The Google Home device is super smart and quite handy to have around. The device is quick to get you the answers you need and would be an amazing partner to have on your Trivial Pursuit team, if anyone even plays that anymore. 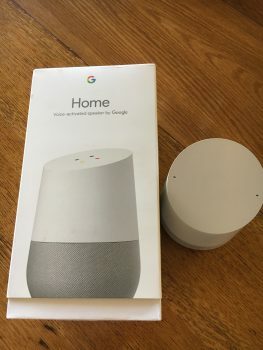 Maybe now with Google Home device the game will make a comeback since with the help it can provide people can actually answer those darn questions. I wish to thank Verizon Wireless for loaning me out the Google Home device, but am disappointed I have to send it back. It will surely be missed. 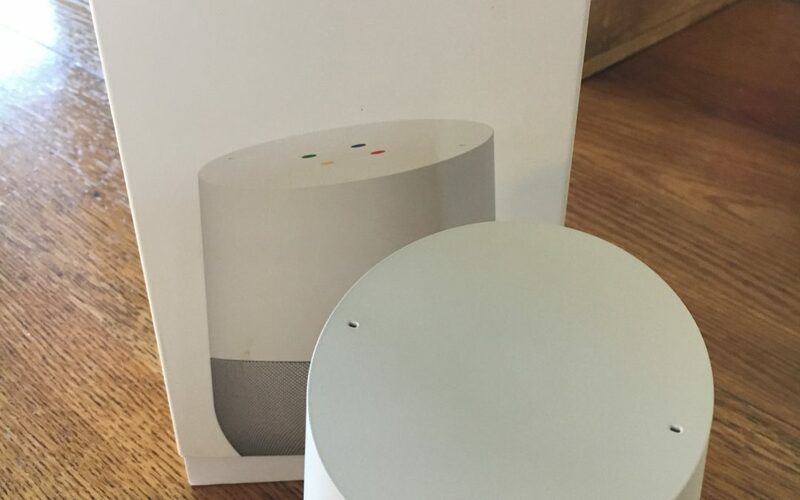 For more information on the Google Home device visit the Verizon Wireless website. 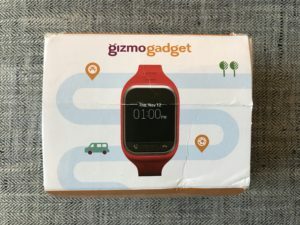 I am an avid traveler and Verizon Wireless recently loaned me some tech gadgets to demo a few weeks. All of these items are great. It is now time to return the items and I am reluctantly sending them back as they were way too handy. 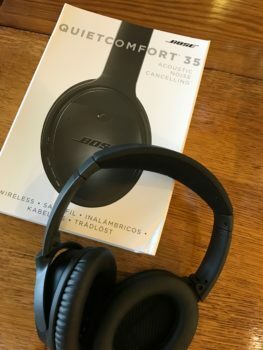 I especially loved the Bose headphones. Below is some top tech gadgets to make your travels run smoothly. 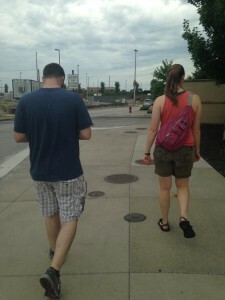 Smart Phone – It is pretty much a given these days that most everyone has a smart phone and is a must for travel. Not only does the phone work with all of these top gadgets, it is necessary to have that form of communication to get information on flights, transportation and keep in touch with those who matter most. Milk and Honey Leather Pocket Case – This case fits snugly around your iPhone to protect it from the wear and tear from travel. 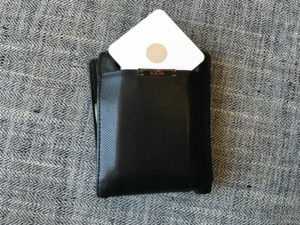 The built in leather pocket makes a great holder for credit cards, id, a few bucks or any other items you may need handy until you reach your final destination. 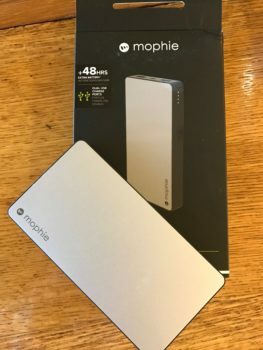 Mophie Powerstation XL – With dual USB charge ports this quick charge external battery can juice up multiple devices at once. This powerstation gives 10+ hours to a large tablet, 14+ hours to smaller tablets and 48+ hours to your smartphone. This compact powerstation will make sure you never get stuck with a dead battery again! 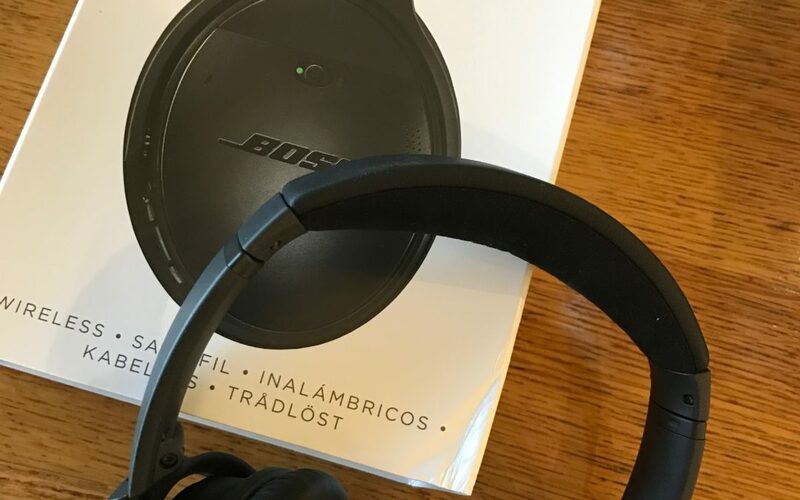 Bose Quite Comfort 35 Headphones – These wireless, bluetooth, acoustic noise canceling headphones will make you feel as if you are the only one around. They are adjustable to fit just about one and the deep bass gives you a surround sound experience. 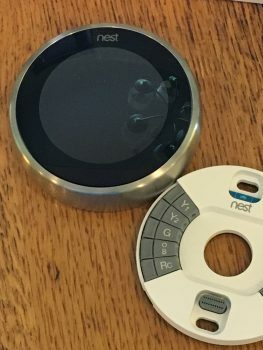 Nest Smoke and Carbon Dioxide Alarm – This unit thinks, speaks and alerts your phone if it detects smoke or carbon dioxide. Having the security of this device protecting your home and family while traveling is priceless and the perfect addition to other smart home products and alarm systems you may have paired with your smart phone. All of these Items can be purchased at the Verizon Wireless website and make great gifts this time of year for the avid traveler in your life.